Quite recently my wife and I have returned from an inspiring holiday. 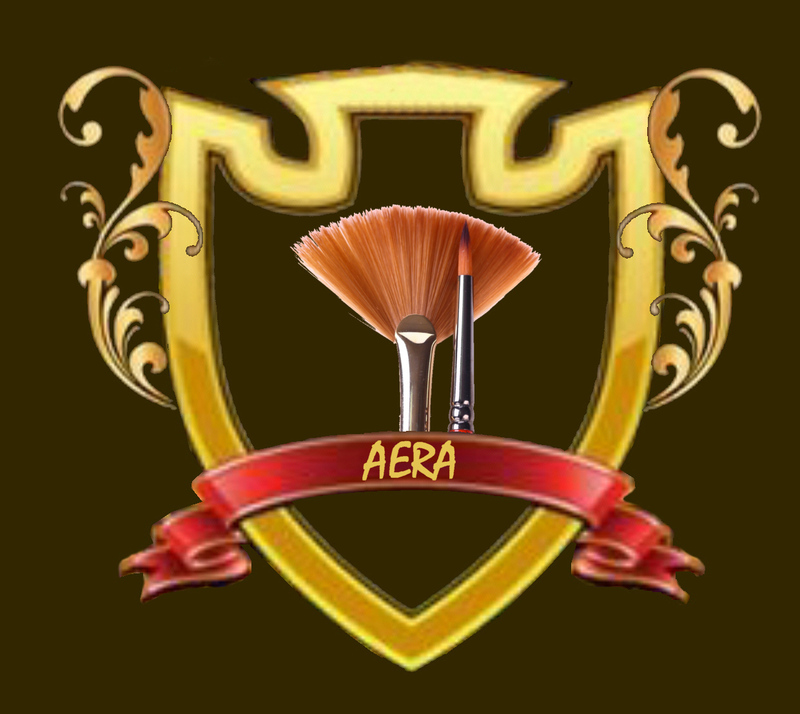 We were able to collect many new motifs for paintings. 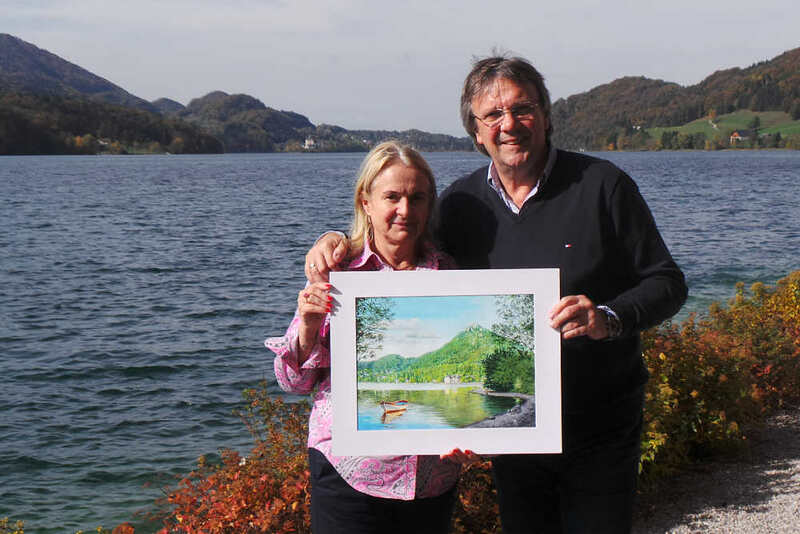 Prior to our visit I had painted our holiday destination for the proprietors of the Seerose Hotel in Fuschl on the Lake in Austria. The Schocher family were really taken with my work and are planning to award it a place of honour at their well run hotel. The photo shows Mr. and Mrs. Schocher holding my painting. The hotel staff are friendly and helpful towards their guests and the comfortable rooms are kept in pristine condition. The view of the mountains and the picturesque lake from the balcony of the rooms never fails to enchant us every time we visit. The free glass of champagne on arrival and the offer to help with the luggage make you feel welcome from the start. The chef can take praise for a rich breakfast buffet which even includes egg and bacon. He can also be credited for an excellent four-course evening menu when you have booked half board accommodation. Further details about the hotel such as the swimming pool, the fitness room, the sauna and wellness facilities can be found on the hotel´s website. Lake Fuschl is situated half way between Sound of Music Salzburg and St. Gilgen, Mozart´s birth place on Lake Wolfgang. There are frequent buses to the various places of interest in the neighbourhood if you haven´t got a car at your disposal. That way you can also get to nearby Mondsee, a lake which is even bigger than Lake Fuschl. For more of my own paintings click here. This entry was posted in art and tagged Austria, Fuschl, holiday, painting, Salzburg. Bookmark the permalink.